No one has it easy in New York City. Unless you’re a Kardashian or a Central Park squirrel you have to work for every scrap. 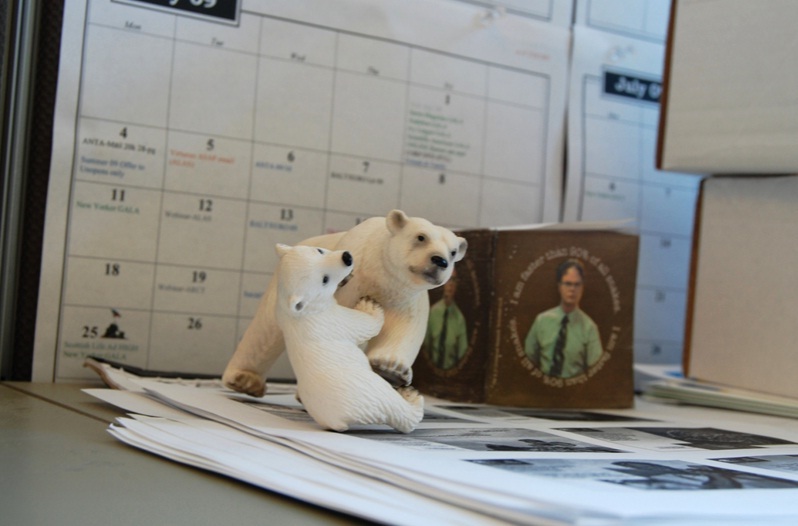 As a polar bear cub, Arctic Stu was really having a tough time. Rent was piling up and he was tired of Colonel Penny Loafer yapping about how he was carrying the penguin’s share of the responsibilities in their new environment. 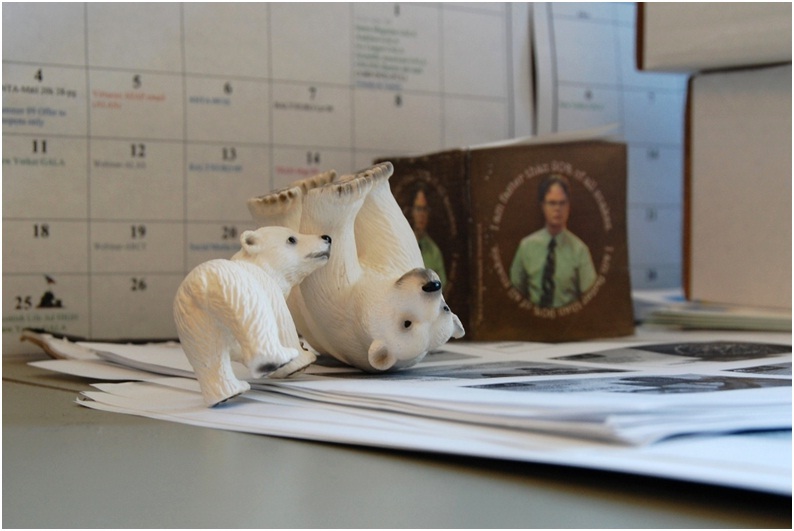 Desperate, Arctic Stu went to a temp agency. He should have known that something was array when the agent winked and said she had the perfect fit for him in the medical offices of Lest Yethink Wecare. They already had a polar bear working there! A big one! 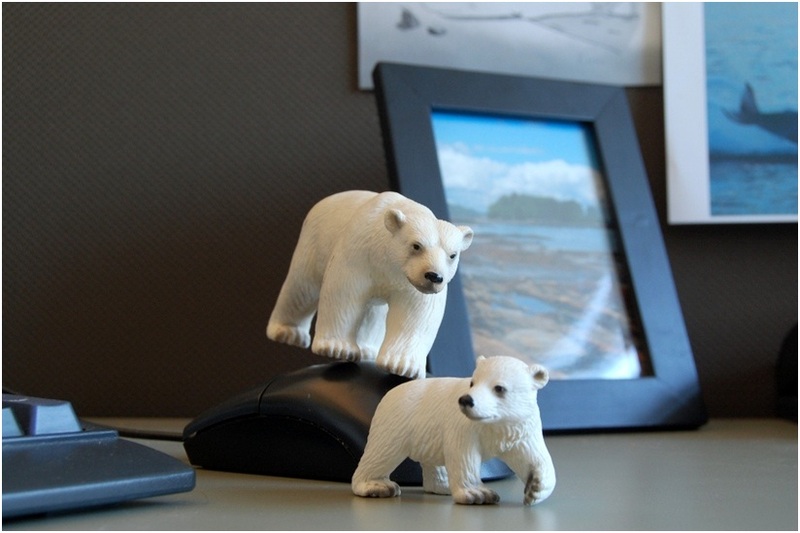 This temp agent clearly didn’t know how territorial some polar bears are and Derrick was no exception. 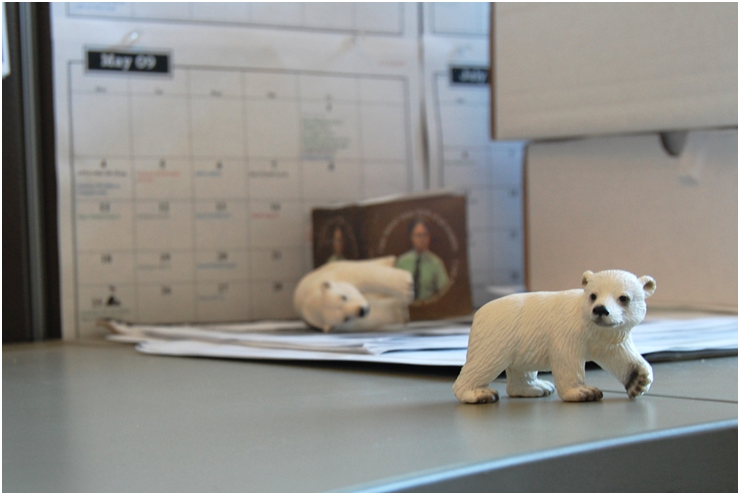 Arctic Stu was settling into his cubicle when the attack came from above. 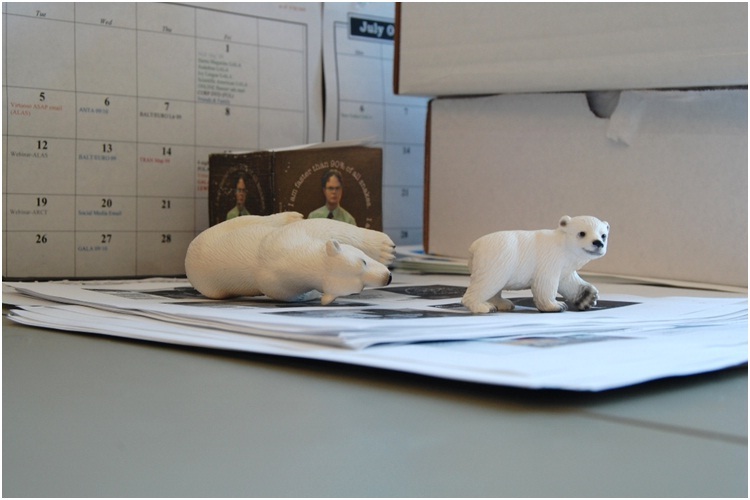 Derrick pounced on Arctic Stu and had him on the ground before Arctic Stu could call his secretary for help. Stu struggled but in a miraculous twist of fate, Derrick slipped on a pile of papers and landed flat on his back. Stu quickly scampered away and when he was a safe distance from Derrick, posted a scathing review of the temp agency on his Facebook wall followed by seven sad face emoticons. Hours later his friends saw that he checked into McSorleys Ale House on his FourSquare account. This wasn’t the first challenge in Arctic Stu’s adventures, and it certainly wouldn’t be his last.